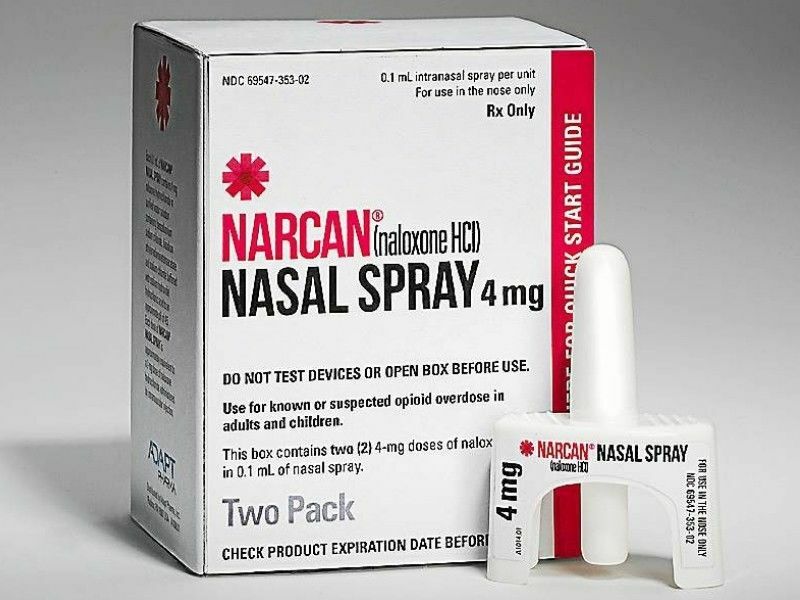 Narcan nasal spray is indicated for the emergency treatment of a known or suspected opioid overdose. It may help to counter act the respiratory arrest, preventing brain injury and death. Opioids are a class of drugs that include the prescription medications Oxycodone, Hydrocodone, and Methadone and the street drugs Fentanyl and Heroin. If taken Differently than prescribed, opioids Can Cause Death by slowing and eventually stopping a person’s breathing (Respiratory Arrest). Narcan nasal spray is indicated for the emergency treatment of a known or suspected opioid overdose. It may help to counter act the respiratory arrest, preventing brain injury and death. Narcan effectively reverses approximately 90% of overdoses when used correctly, quickly, and in conjunction with Emergency Medical Services. In Wisconsin Narcan is available by prescription and without a prescription at a participating pharmacy. If you have a prescription your medical insurance may cover the cost. Without medical insurance the cost for a 2 dose package is approximately $135.00. It is estimated that 2.1 million people in the United States struggle with an opioid use disorder. Since 2010, the number of opioid overdose deaths in the United States has more than doubled to 42,000 deaths in 2016. Wisconsin had 865 overdose deaths in 2016. The sharpest increase is due to Fentanyl (a synthetic opioid) overdoses. Repeat Narcan every 2-3 minutes with new equipment, alternating nostrils until Emergency Responders arrive or the person wakes up. When the person comes out of the overdose they will display 1 or more of the following: body aches, diarrhea, tachycardia, fever, runny nose, sneezing, sweating, excessive yawning, nausea vomiting, nervousness, restlessness, irritability, shivering, tremors, abdominal cramps, weakness, increased blood pressure and/or aggressive behavior. Do Not Share your Medications. What is prescribed for you is based on your medical history including allergies, other medications and supplements you take, your weight and your pain tolerance. The surgeon General recommends that all persons who use an Opioid and their family and friends have unexpired Narcan on hand for emergency use. Store Narcan at room temperature. Do not store in a car in the summer or winter, the temperatures are too extreme. Do not freeze. Reversing opioid overdose saves lives but isn’t a cure all. For some it may provide a 2nd chance and may serve as the 1st step in the recovery process. Get The Person Into Treatment Immediately. Proper Medication Disposal for expired medications or those that you no longer take is available at the following locations: Burnett Medical Center in Grantsburg, Cumberland Memorial Hospital in Cumberland, and the Police Department in Spooner, at the Sheriff’s Department in Barron, Burnett, Polk, and Washburn Counties and at the St. Croix Tribal Police Department (old site). Naloxone an opportunity for another chance: JNP-March 2016 vol12, Issue 3 pages 154-160. Community use of Naloxone for opioid overdose, Australian Prescriber 2017, August 1.